Using Laser Beams, you need a light Fog in order to get them clearly visible. Not only you need our Fog/Smoke liquid, but you need a hazer. 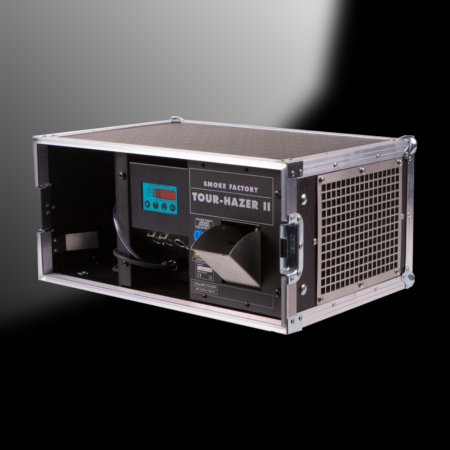 The Hazer generates fog that you control with a remote control, dosing the level of haze in the surrounding environment. We have several models in our warehouse, that can satisfy all your needs, from your home-studio till the big stage.